Every year, thousands of southern California residents spend the Fourth of July holiday partying, especially in California’s beach cities, such as Huntington Beach, Newport Beach, and Long Beach. In anticipation of the upcoming four-day holiday weekend, police will be increasing driving under the influence (DUI) patrols and sobriety checkpoints to reduce the number of accidents and casualties that occur when drivers get behind the wheel after drinking. The following tips can help you avoid getting arrested for a DUI, and more importantly, prevent you from causing a serious accident. Do not drink and drive. Designate a sober driver, call a cab, or simply wait it out if you choose to consume alcohol. Plan ahead and check to make sure your vehicle is in working order, from taillights to windshield wipers. 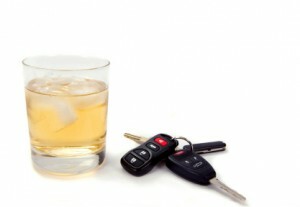 Often times, drivers who face DUI charges were stopped for other violations. Always wear your seat belt when in a vehicle. The police will often stop drivers for violating seat belt laws during the holidays. Making a U-turn or driving away from a DUI checkpoint could rouse suspicions, even if you have not been drinking. If you are hosting a party, watch out for your guests and make sure they do not leave drunk or intoxicated. Drunk or intoxicated driving charges can have a lasting negative impact, both personally and professionally. If you have been charged with driving under the influence, contact Huntington Beach DUI defense lawyer Joseph H. Low IV at (562) 901-0840 for a free consultation about your legal rights and options.